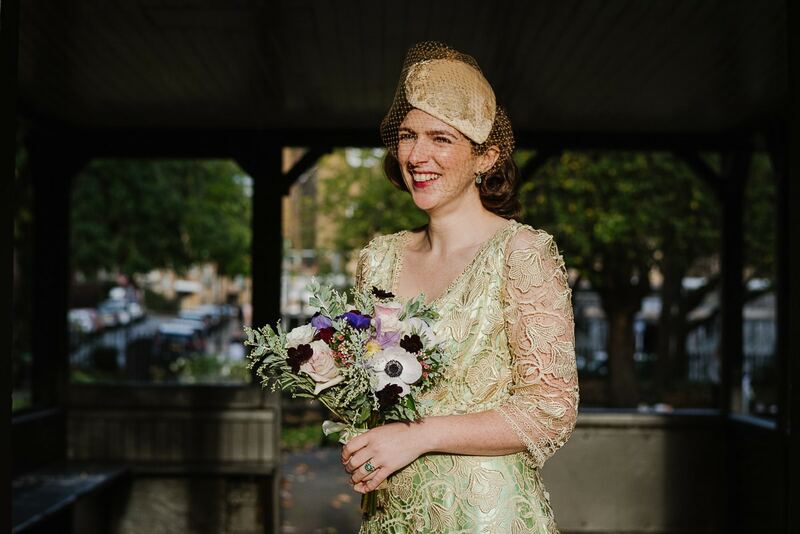 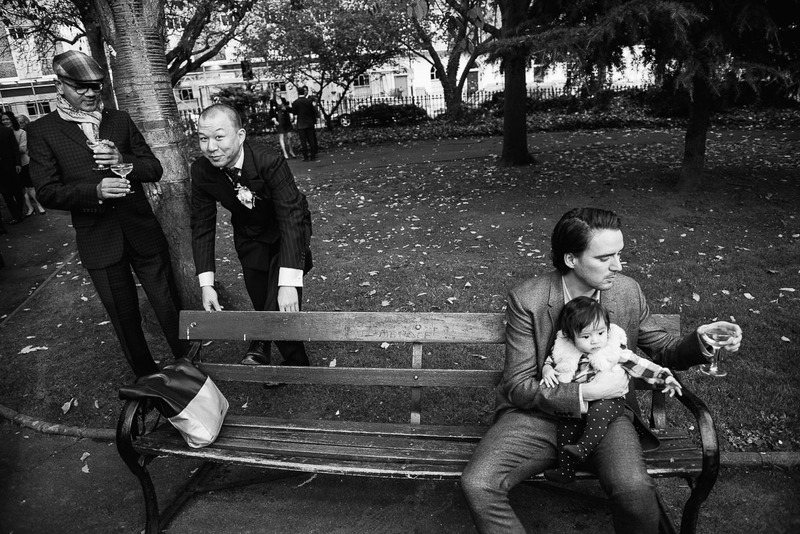 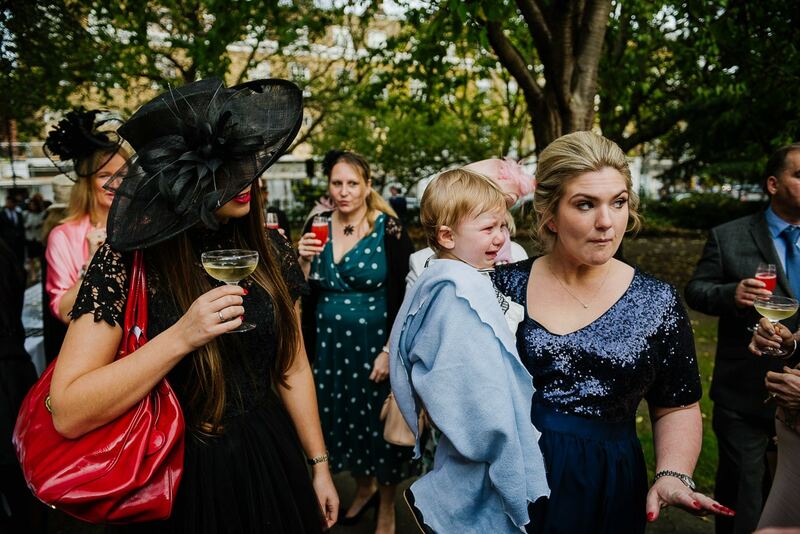 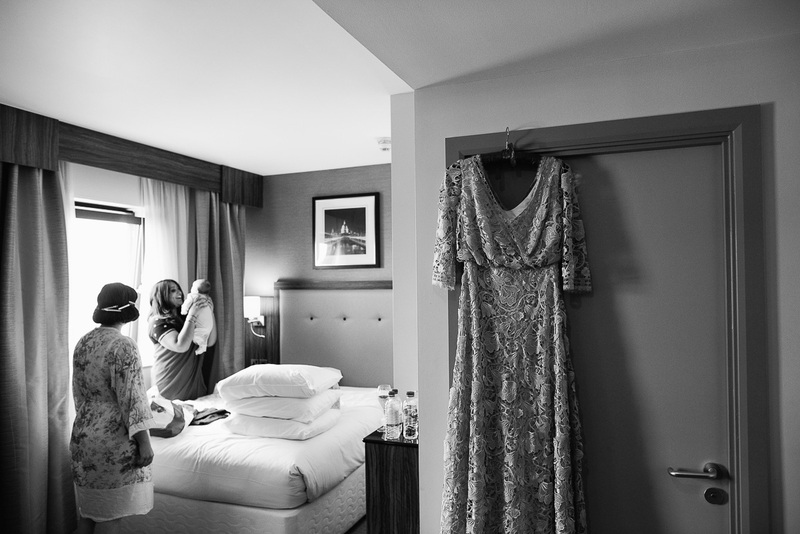 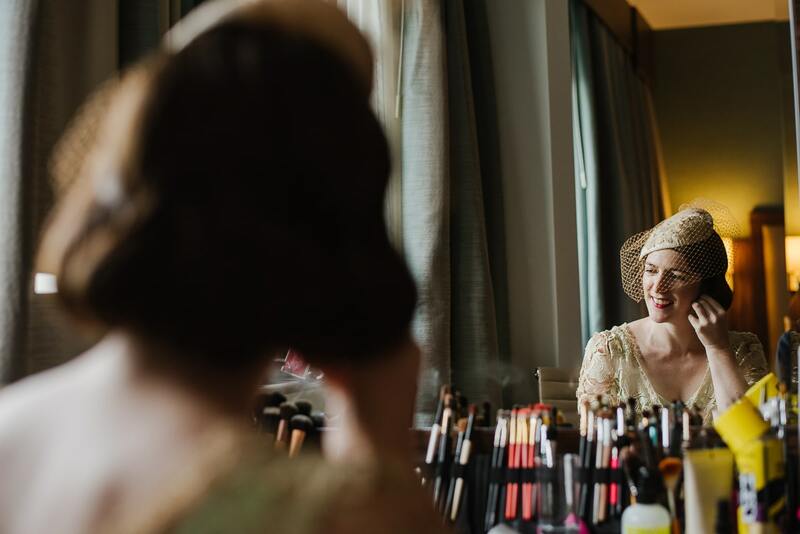 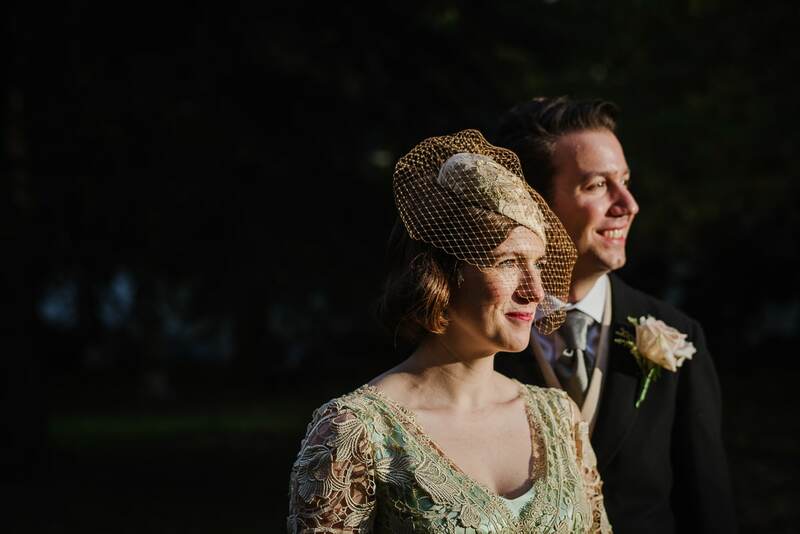 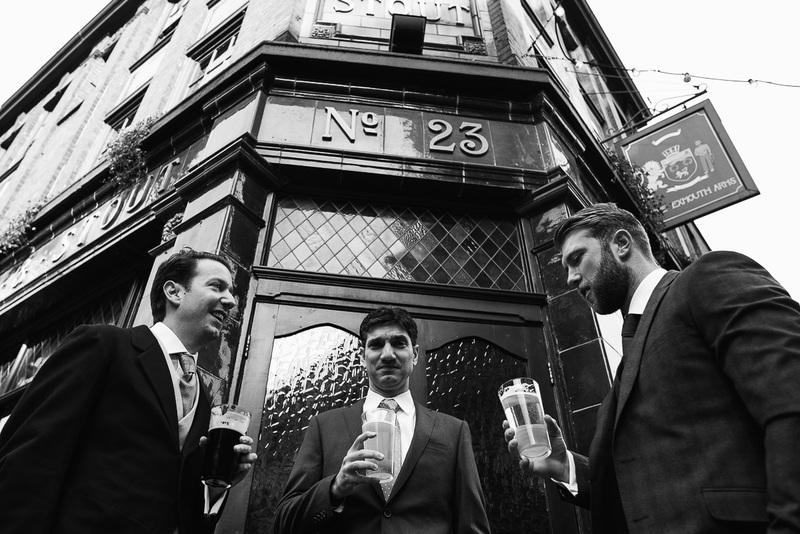 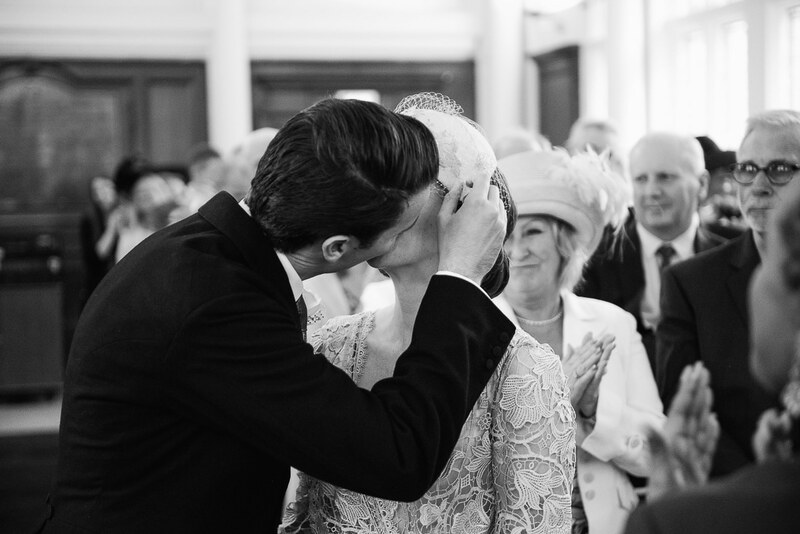 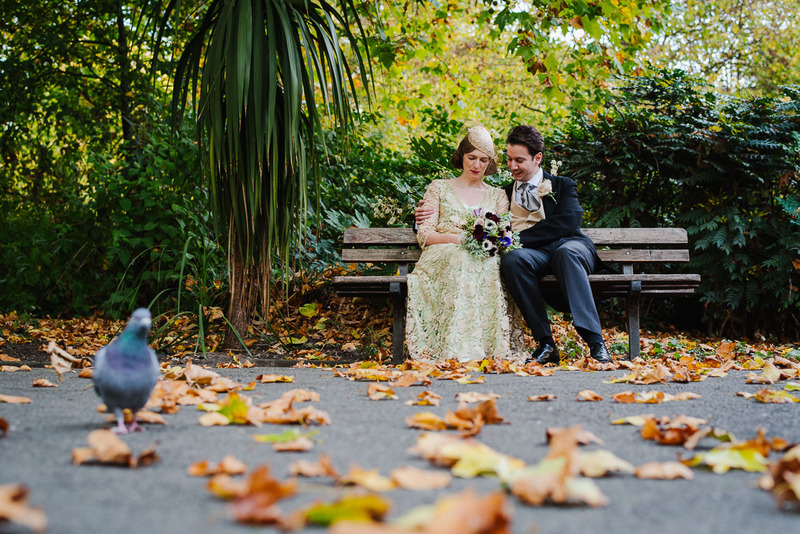 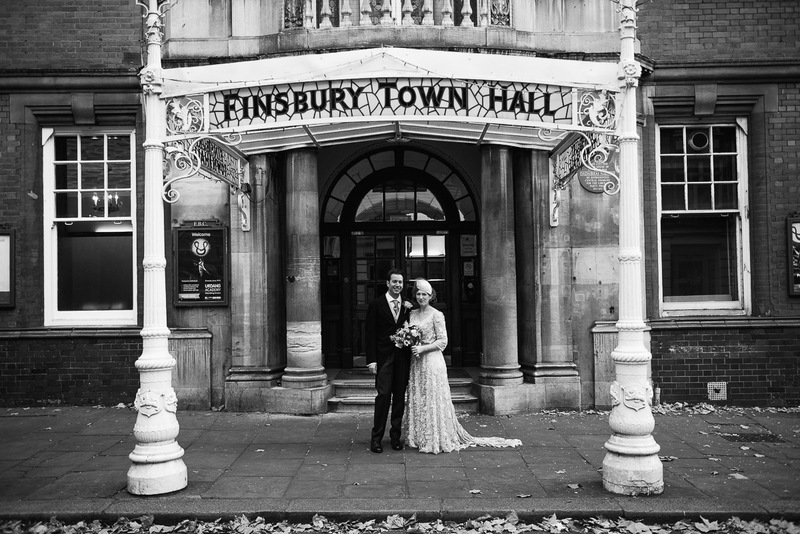 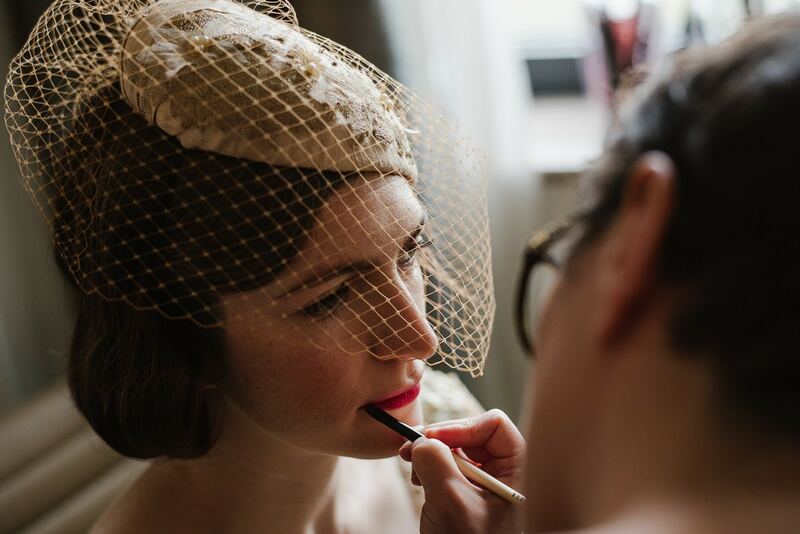 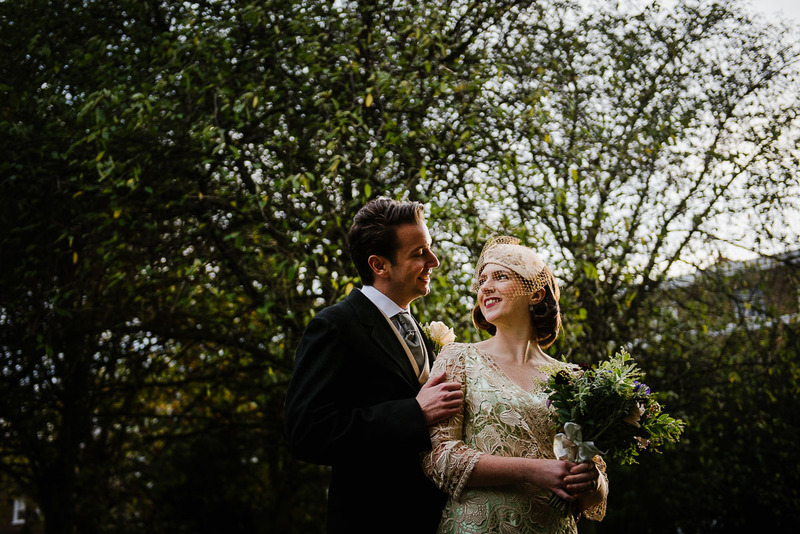 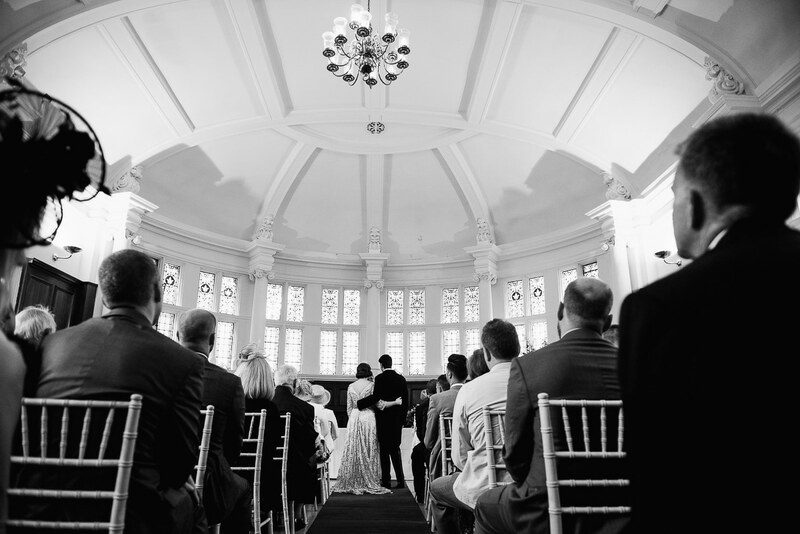 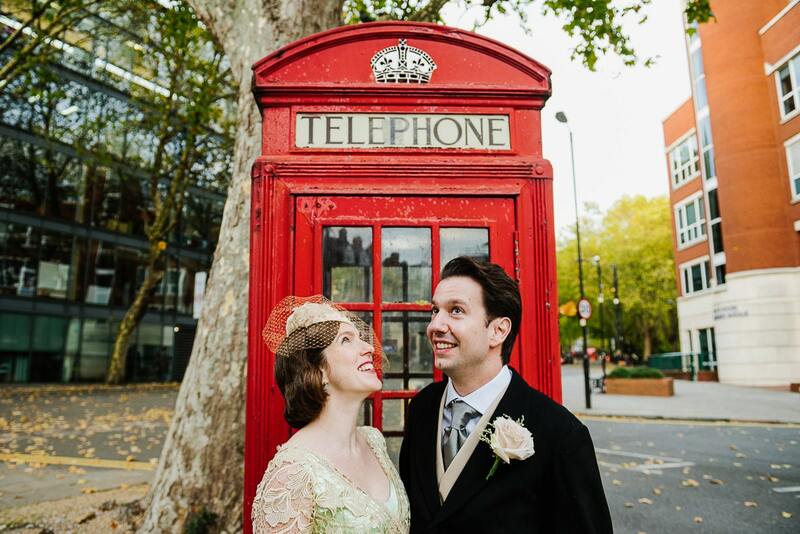 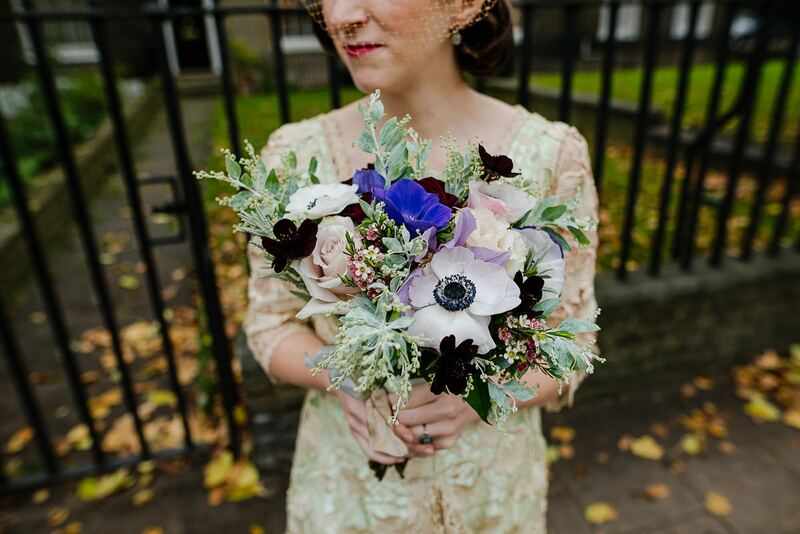 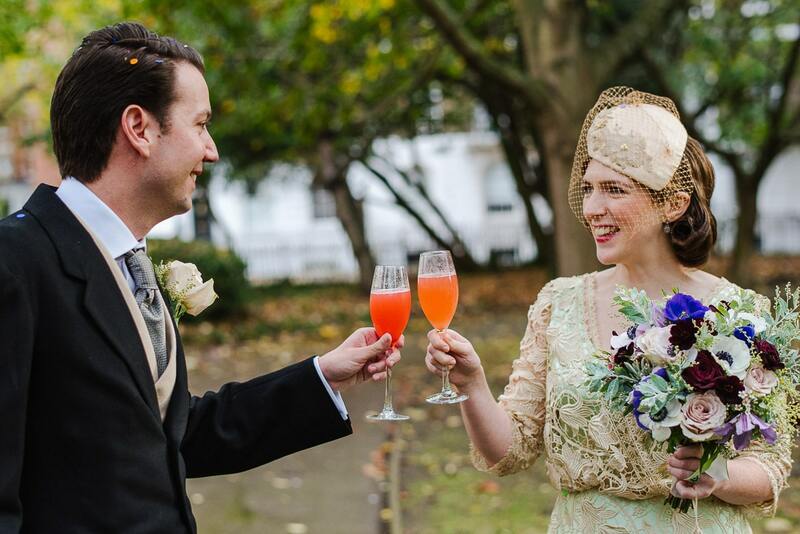 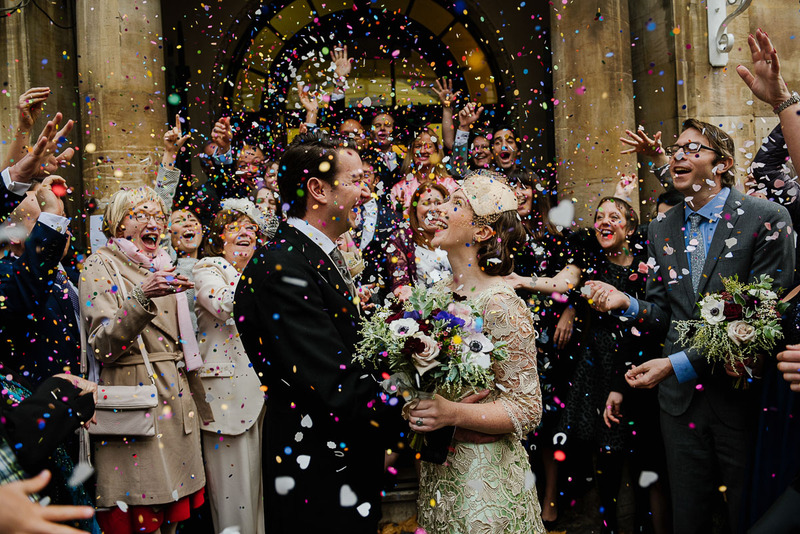 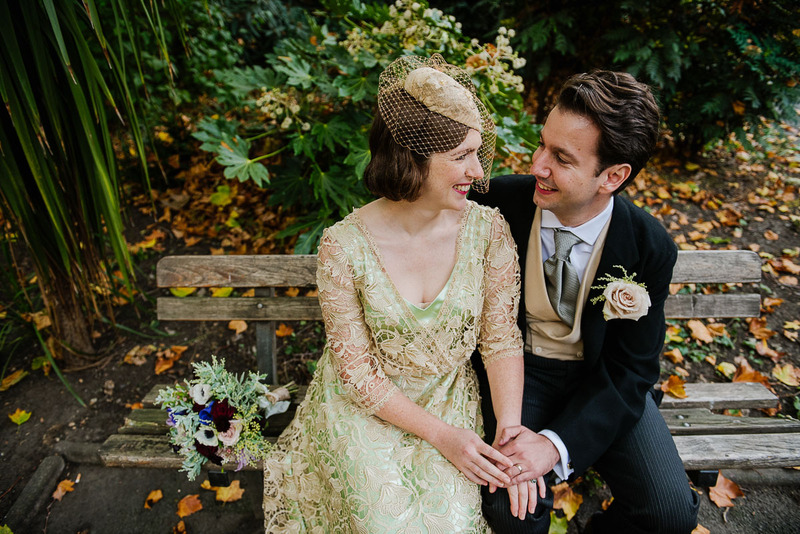 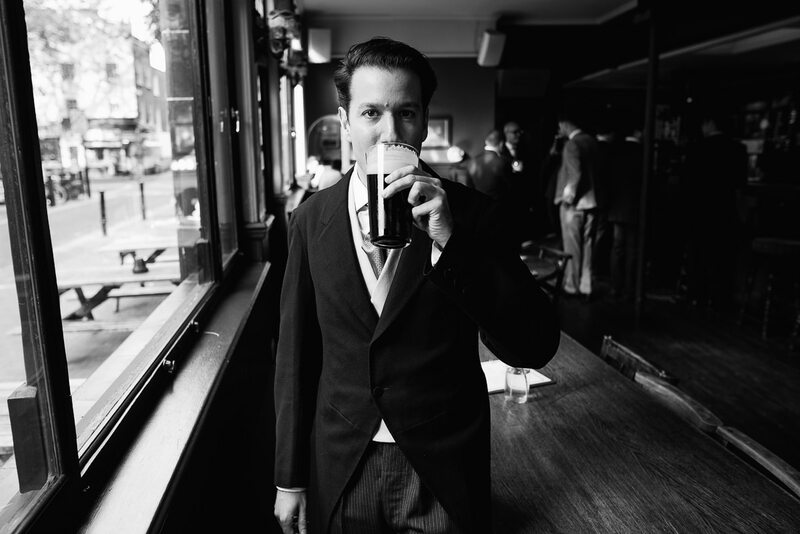 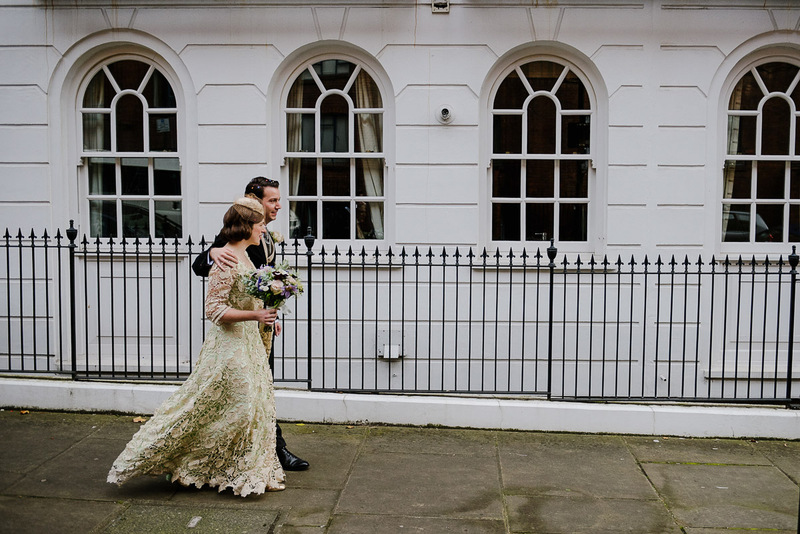 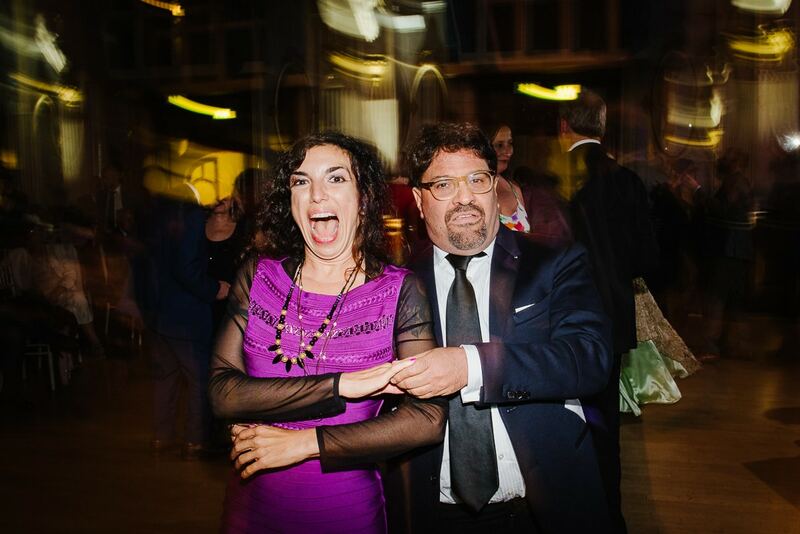 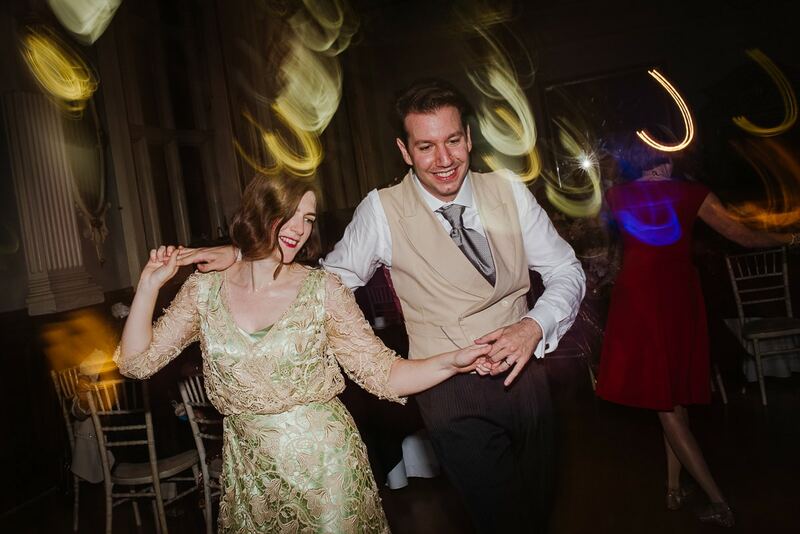 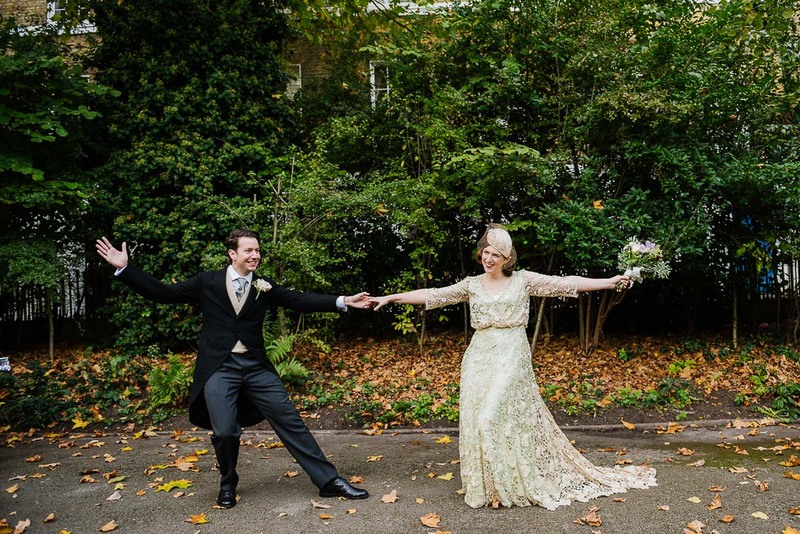 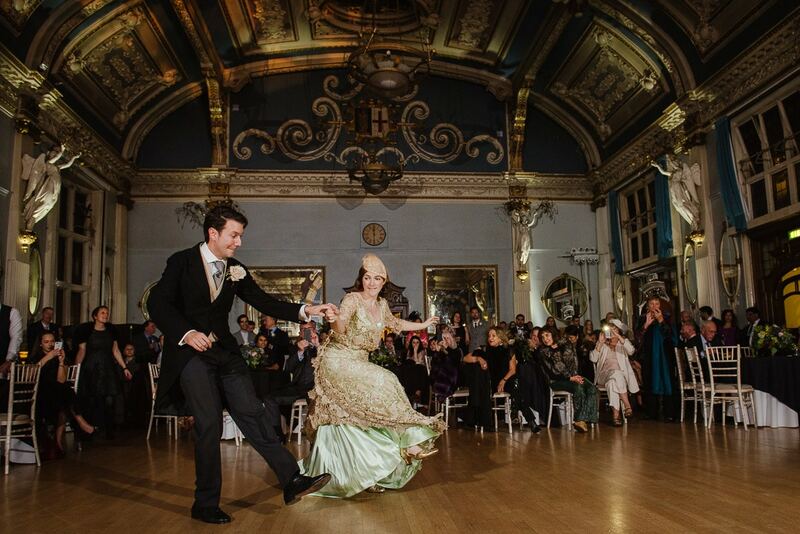 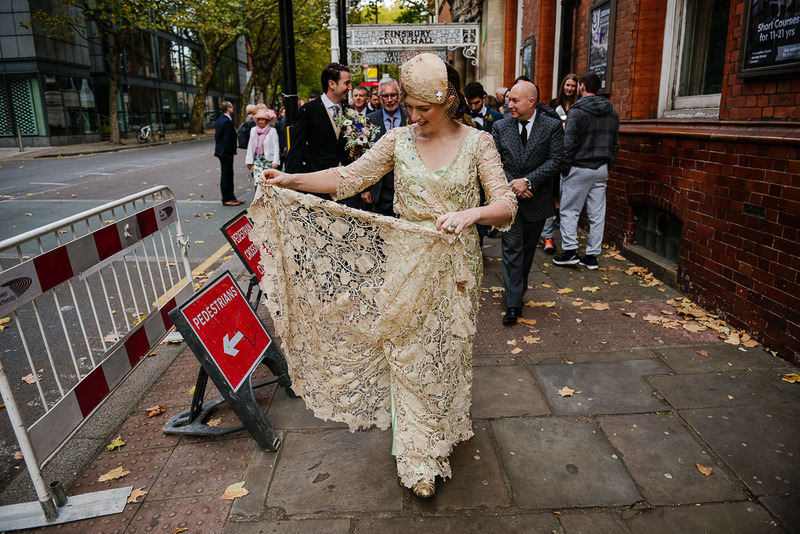 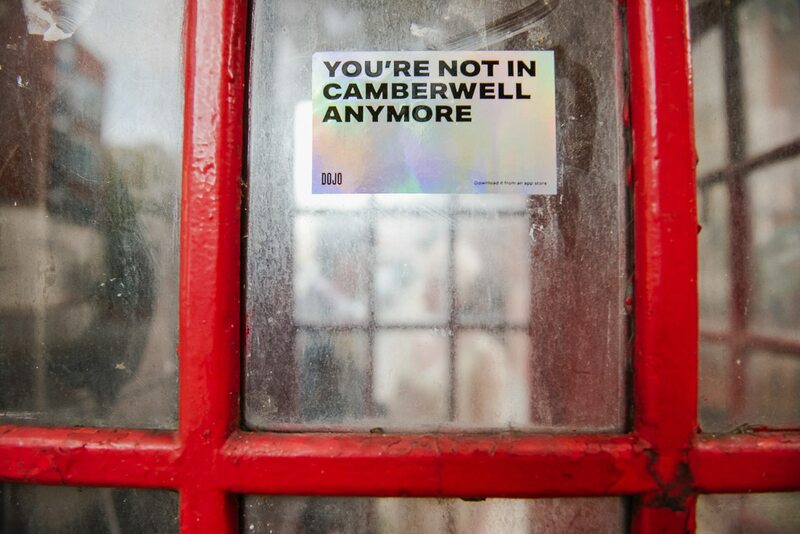 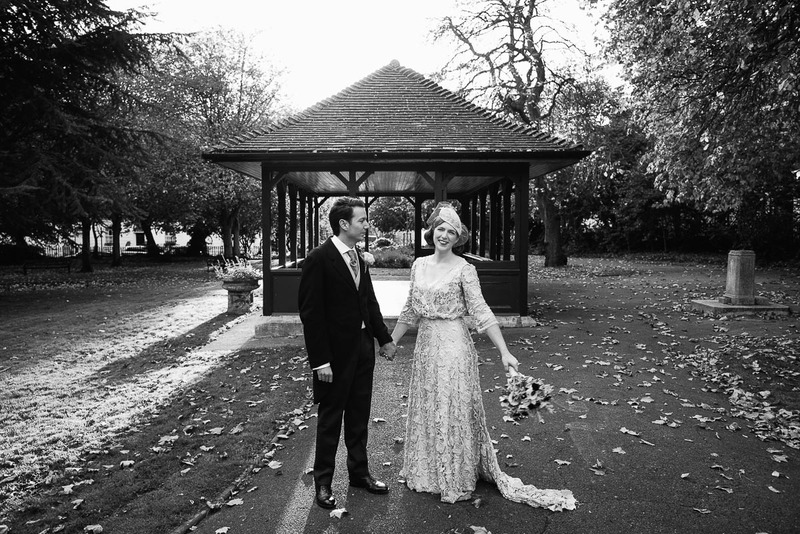 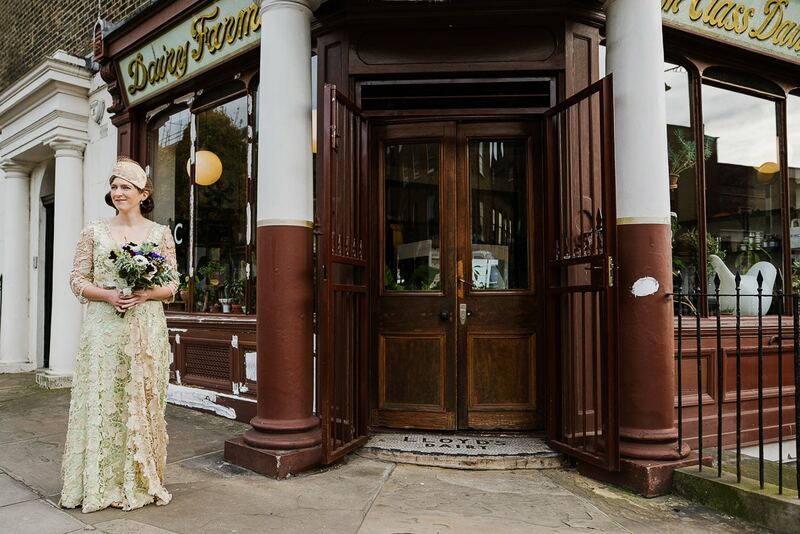 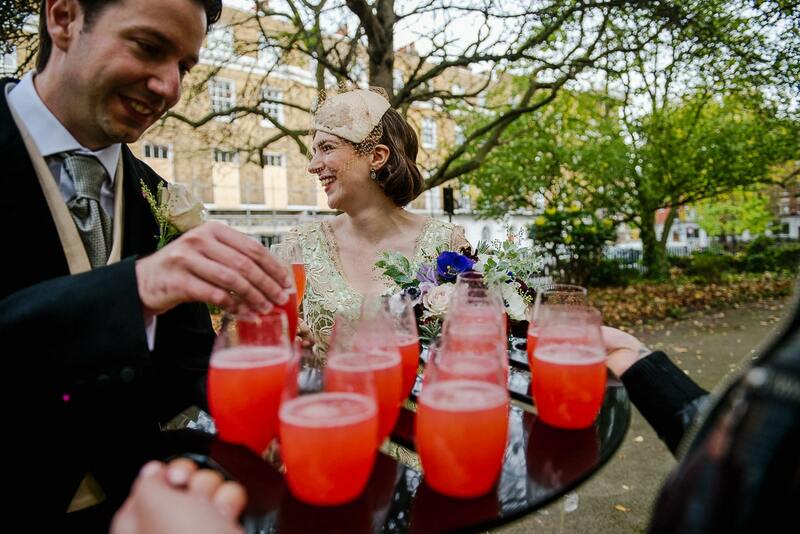 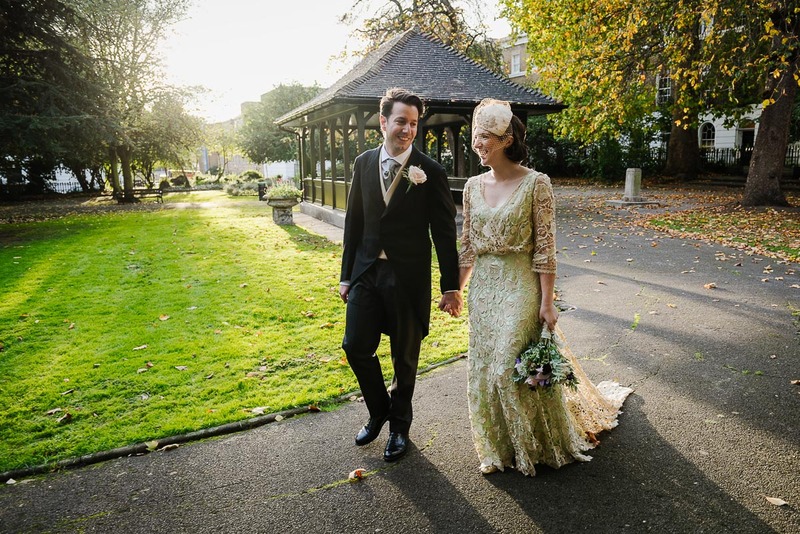 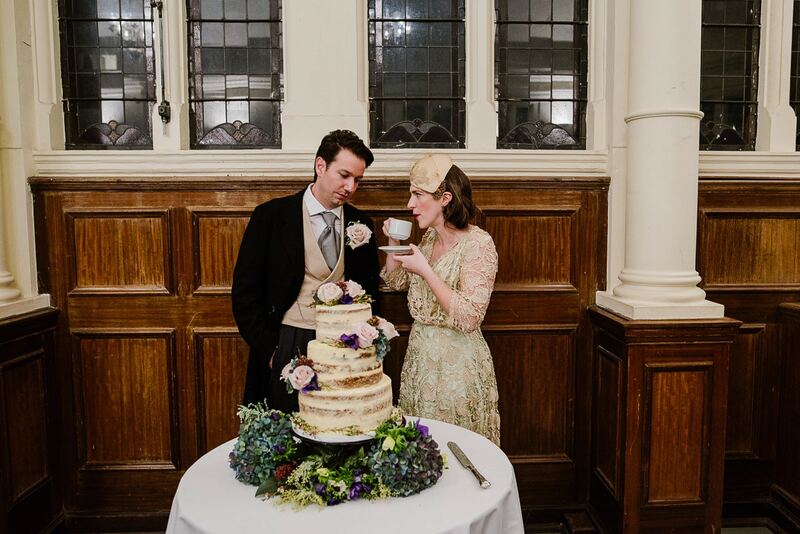 What was your Old Finsbury Town Hall wedding inspiration? 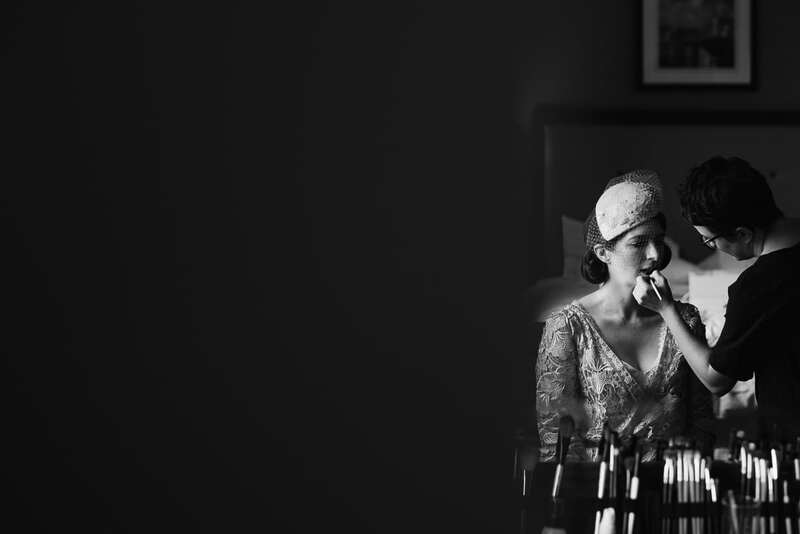 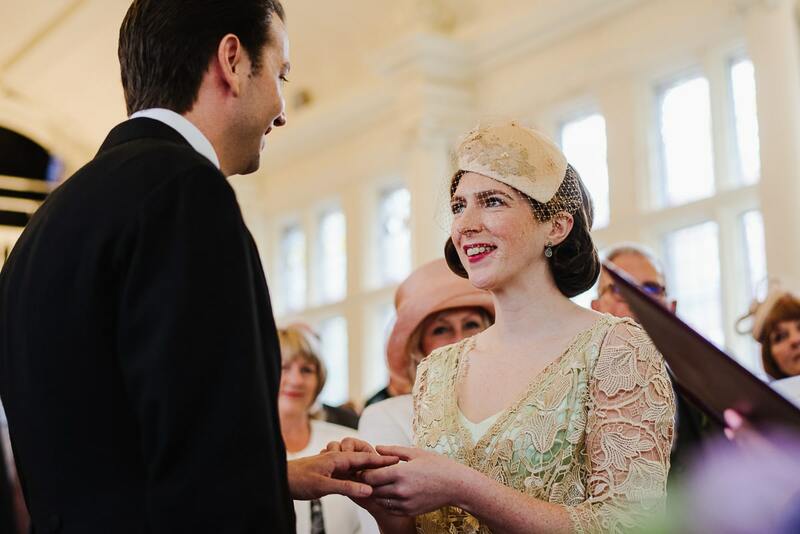 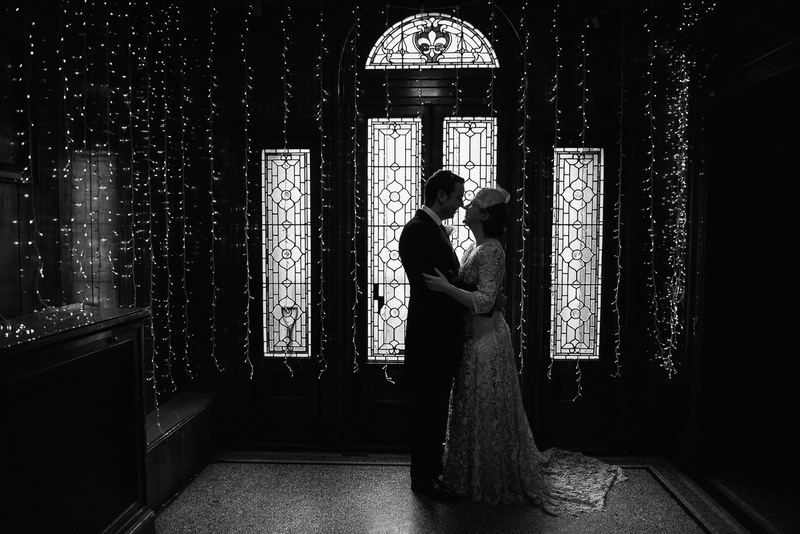 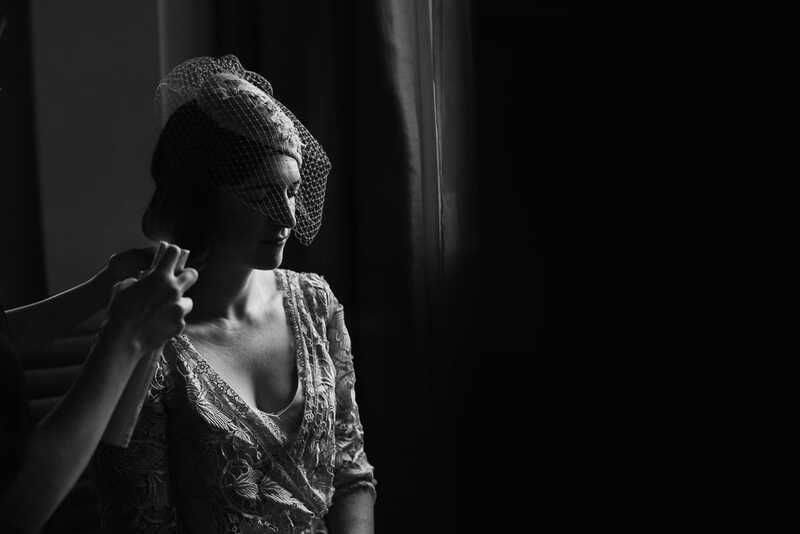 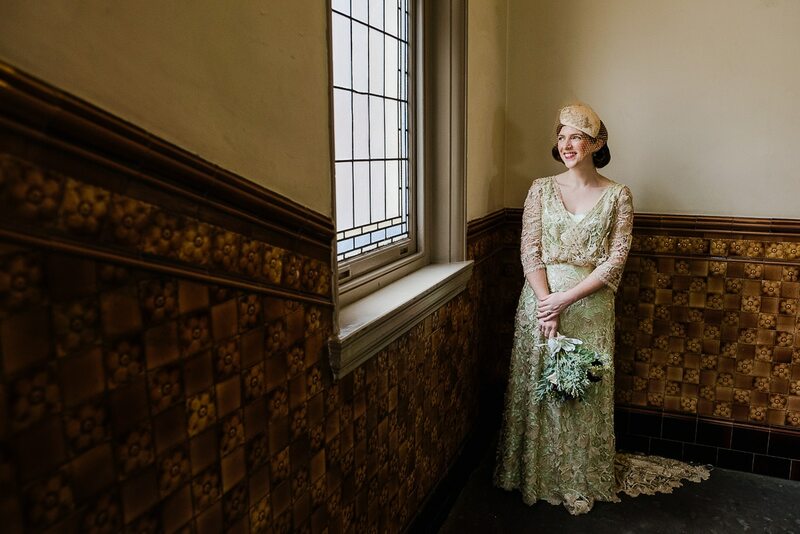 Getting married in an historical building was special because we love Jazz and all old things. 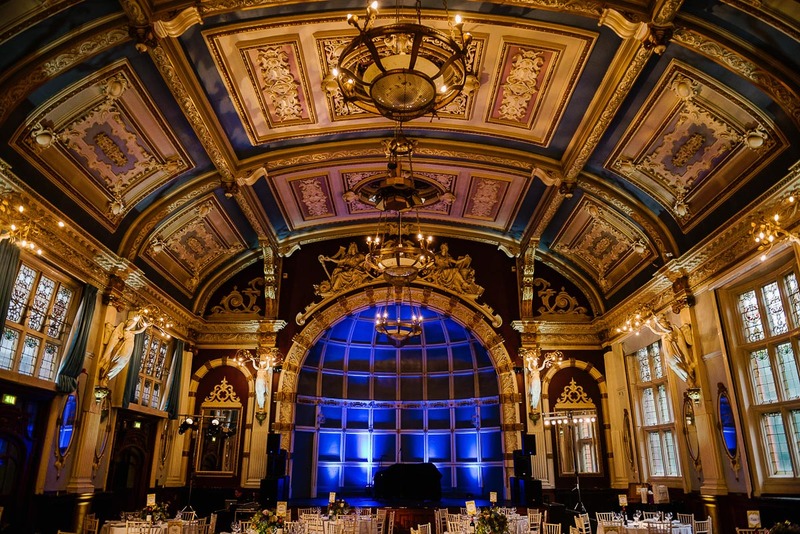 Old music halls give us a magical feeling. 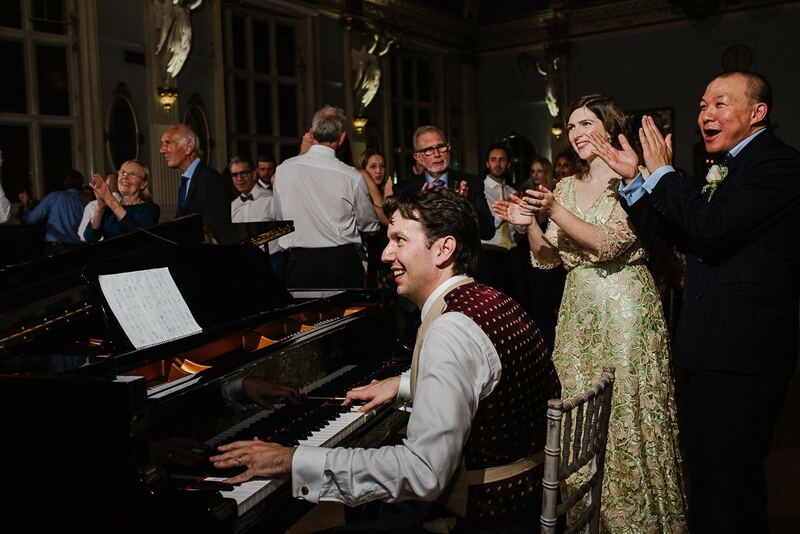 Music is very important to us hence we had a jazz band playing at the evening reception. 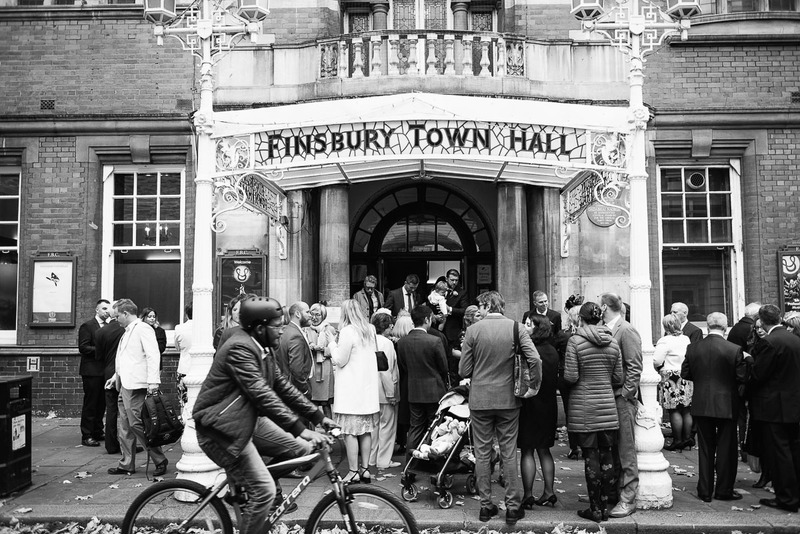 During the day The Old Finsbury Town Hall is a dance school, and all contributions from weddings go towards bursaries for the students. 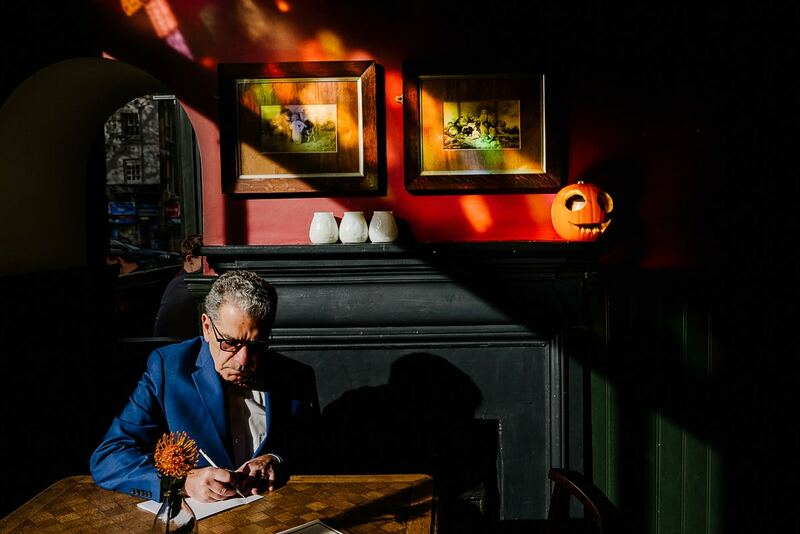 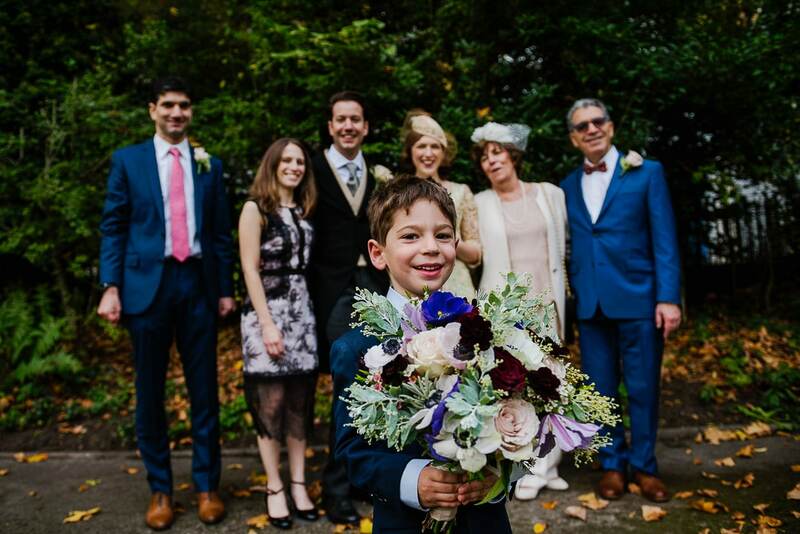 It was also convenient for Isaac’s family and friends who flew into Heathrow from Canada, and my family and friends who arrived by train into King’s Cross. 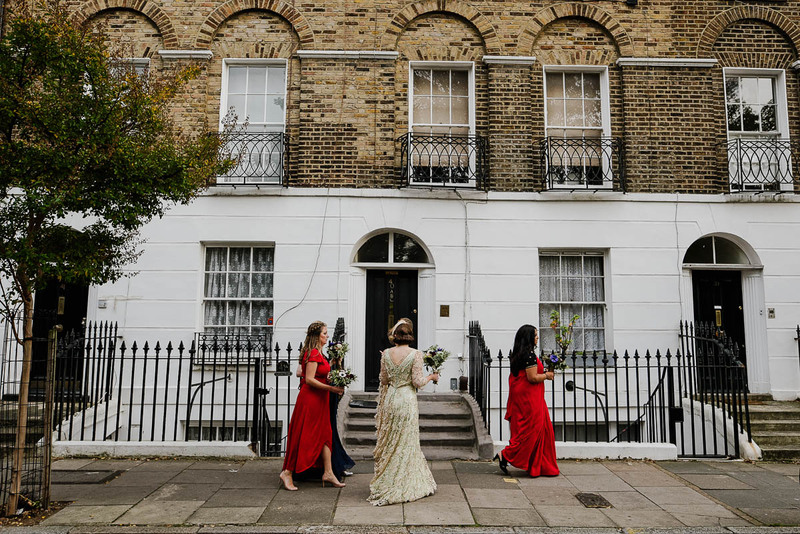 A short walk from the hotel to the venue, and reception drinks in Wilmington Square just around the corner from The Old Finsbury Town Hall. 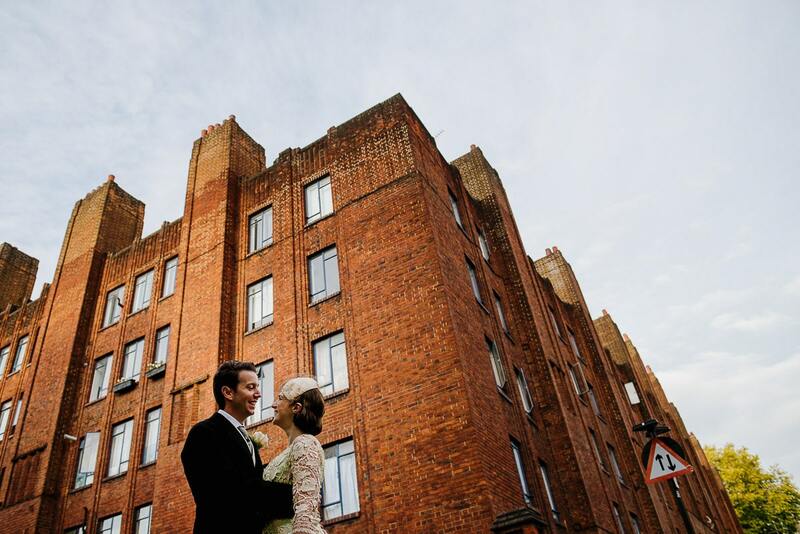 The day after the wedding we walked to the docks where we hired a boat and treated our guests to afternoon tea on the Thames. 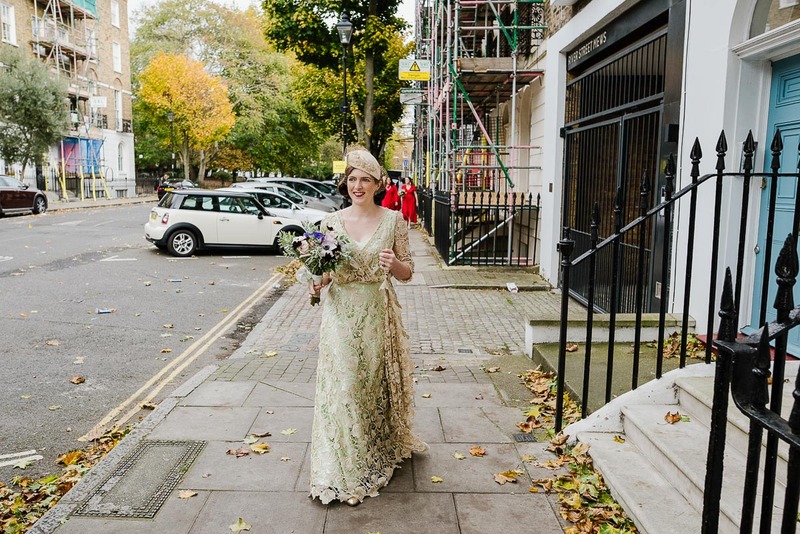 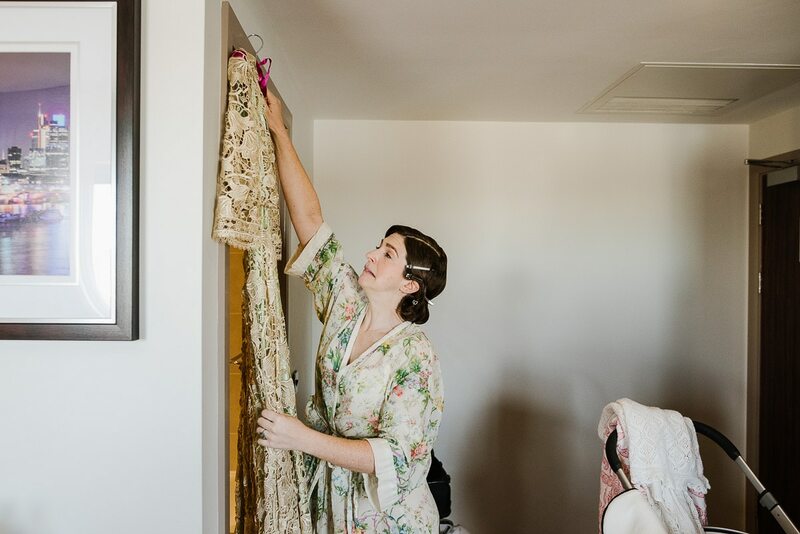 Tell me about the unique vintage wedding dress. 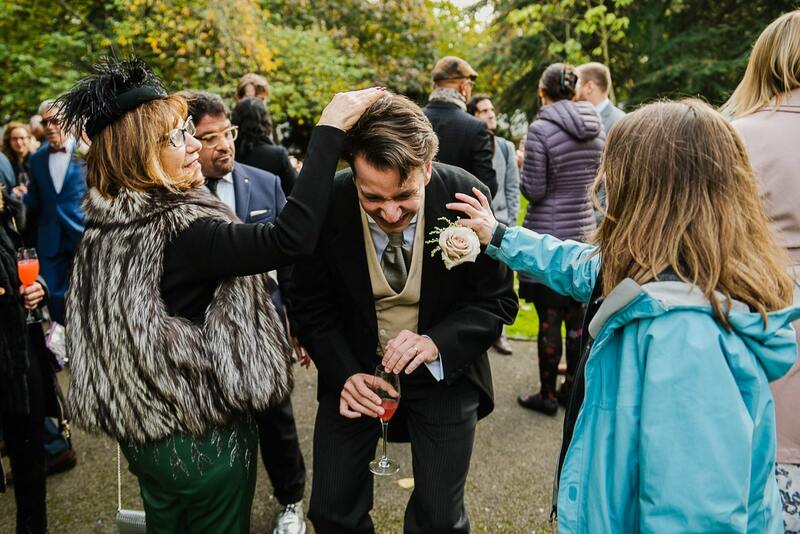 Sourced and fitted by Samir Hecham, Isaac’s suit was dated from 1912. 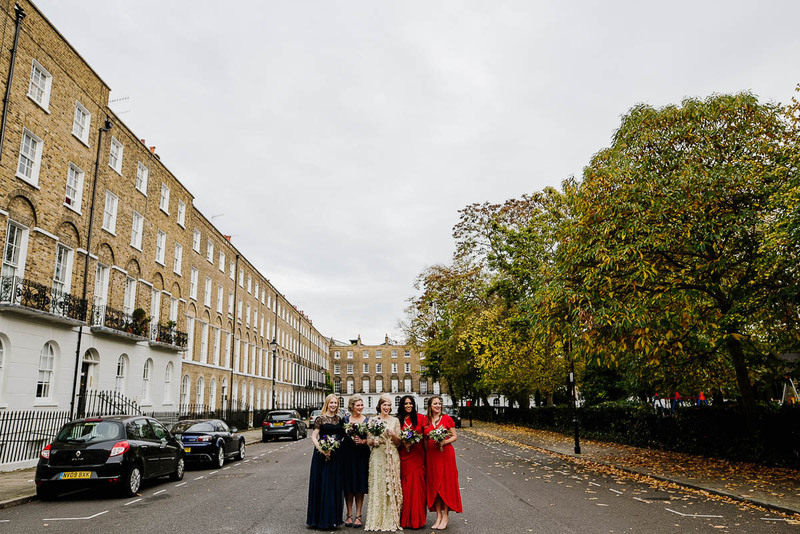 The bridesmaids wore their own dresses. 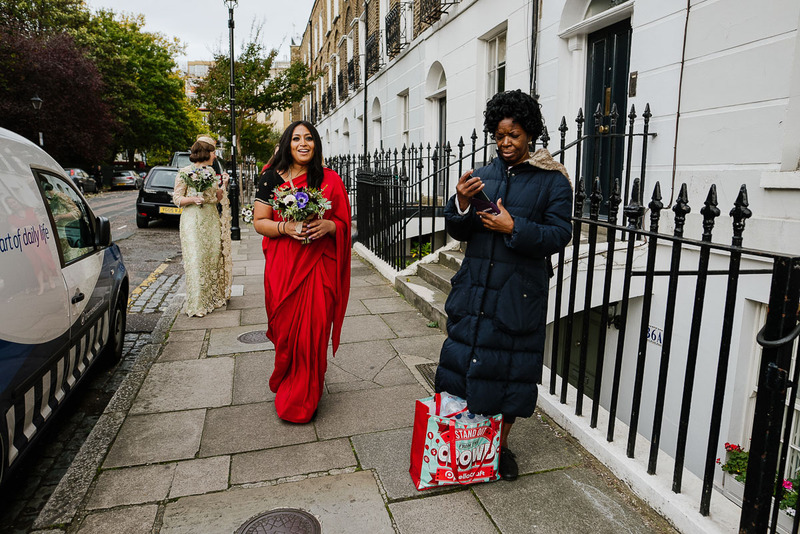 Everyone to be uniform wasn’t on the agenda so I asked them to be my best women and wear whatever they wanted. 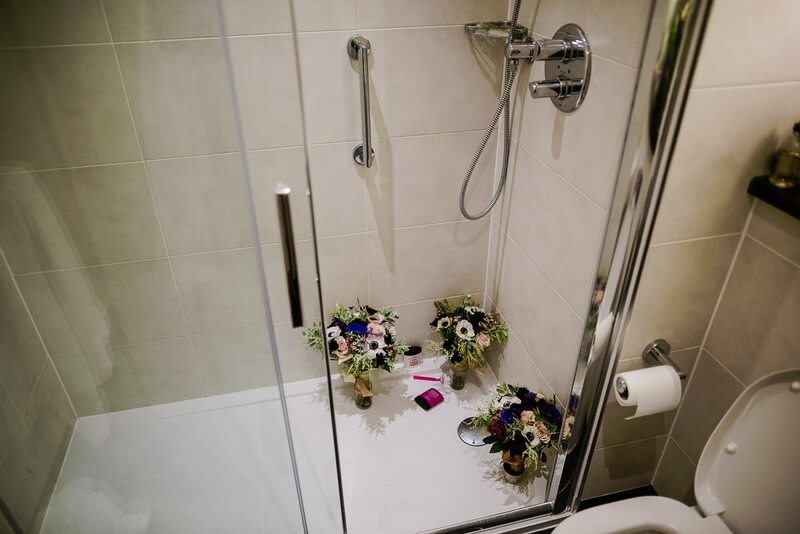 Try not to get too caught up in the details. 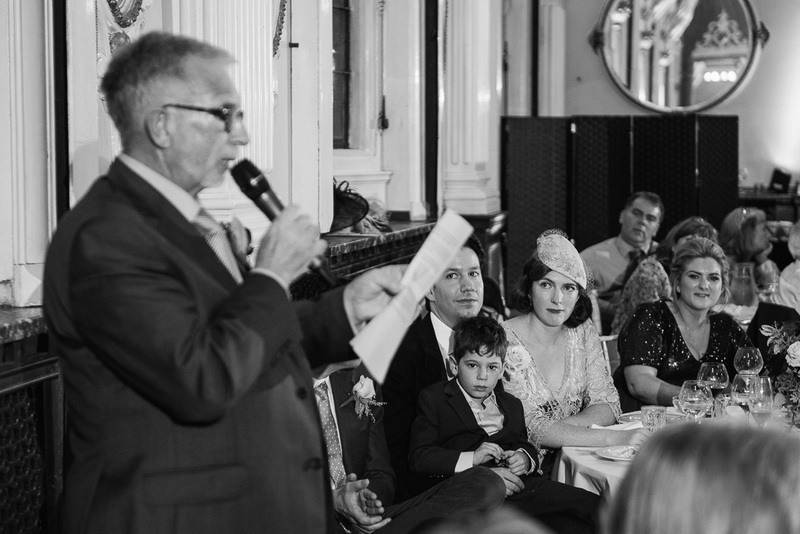 Seeing our friends and family from all over the world gathered in Wilmington Square put everything into perspective. 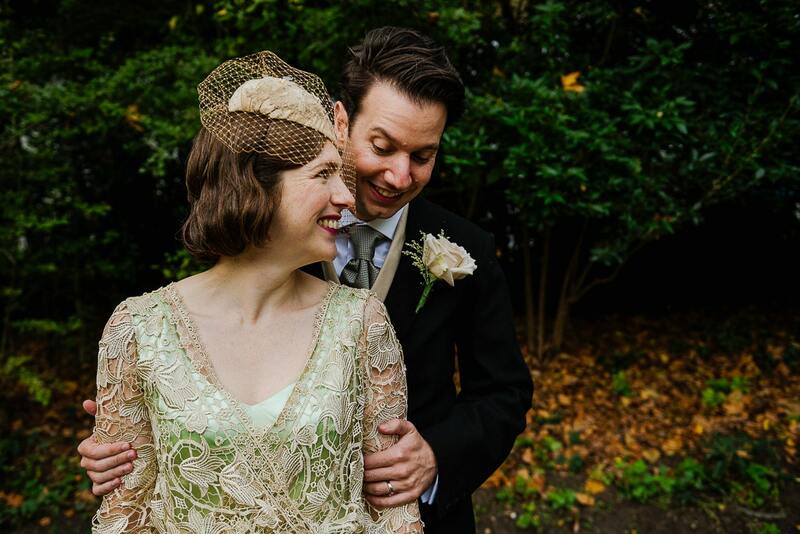 As a married couple we just want to continue our adventure together, and enjoy everyday. 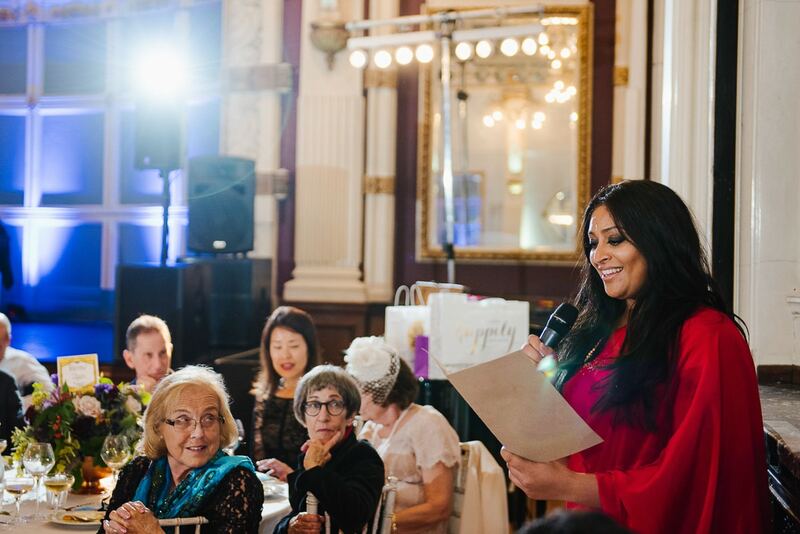 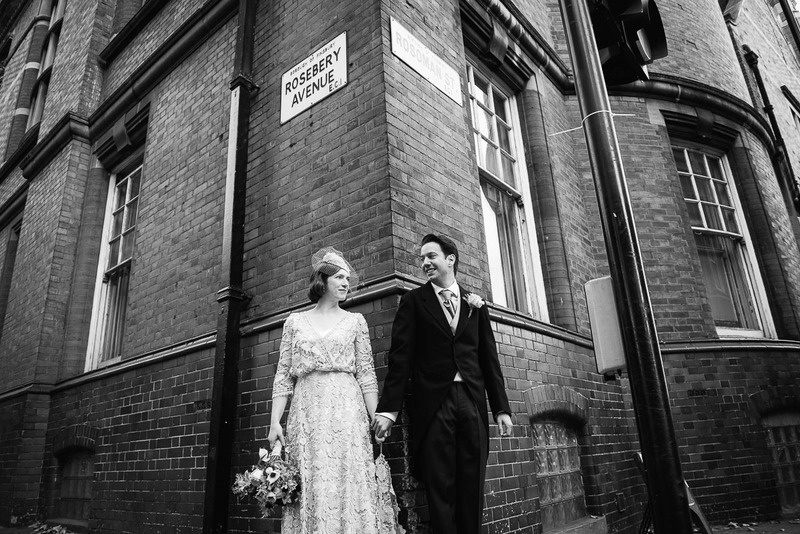 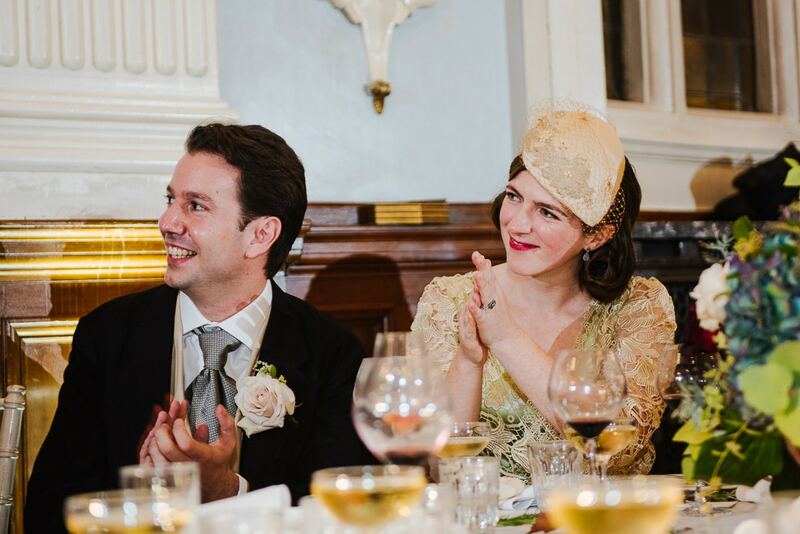 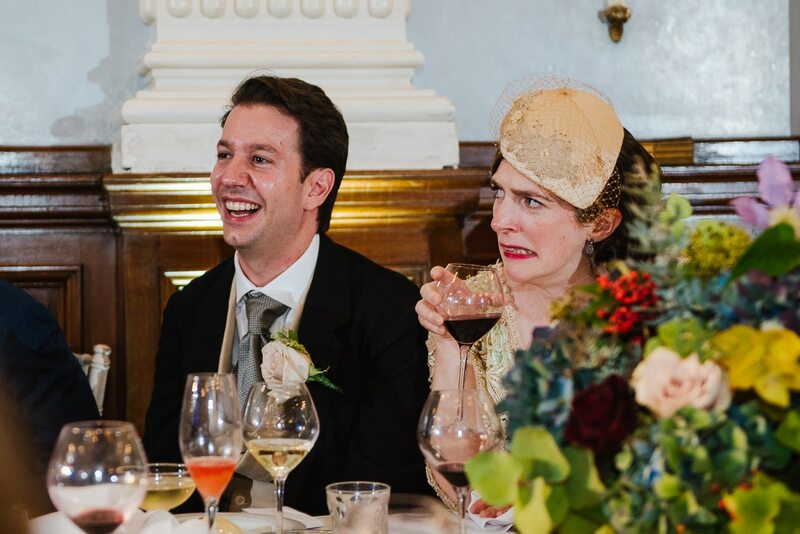 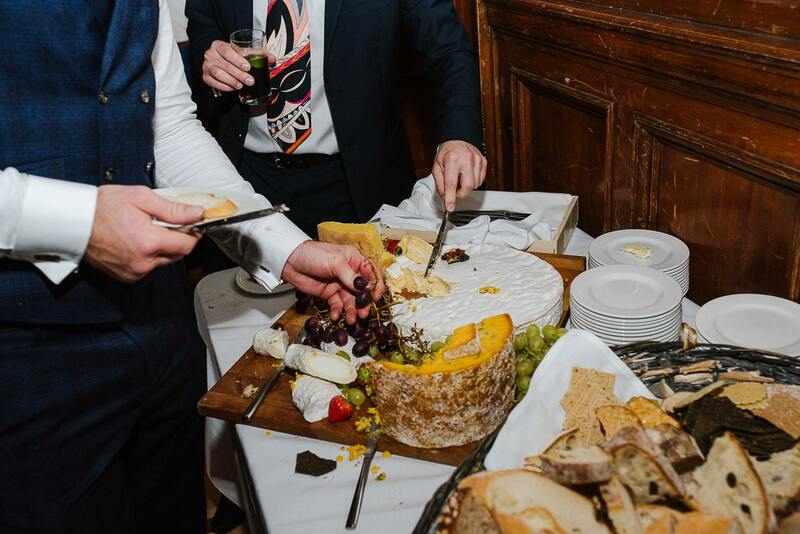 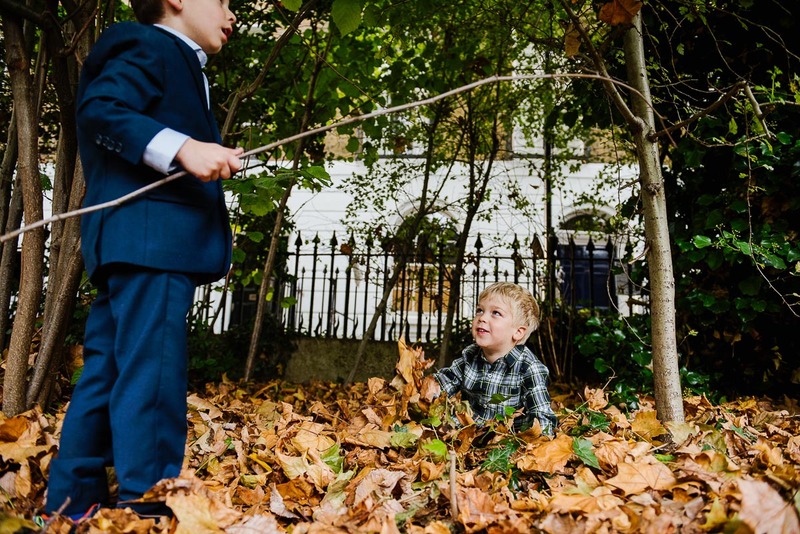 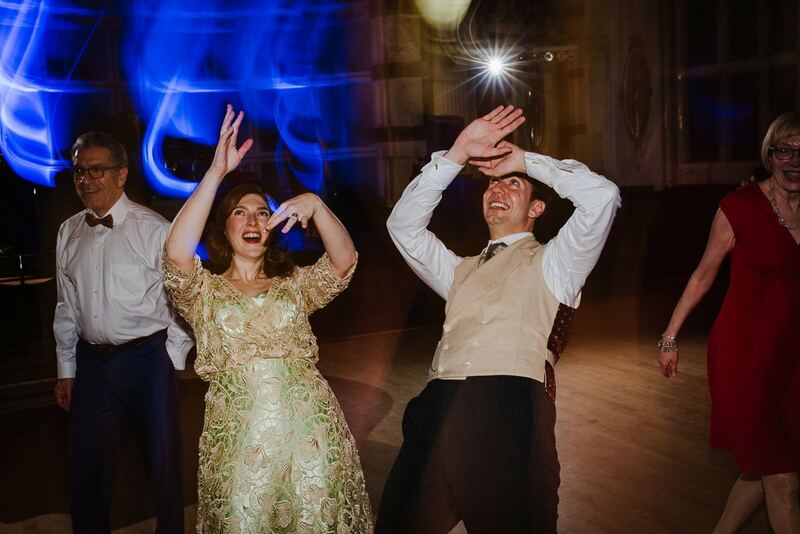 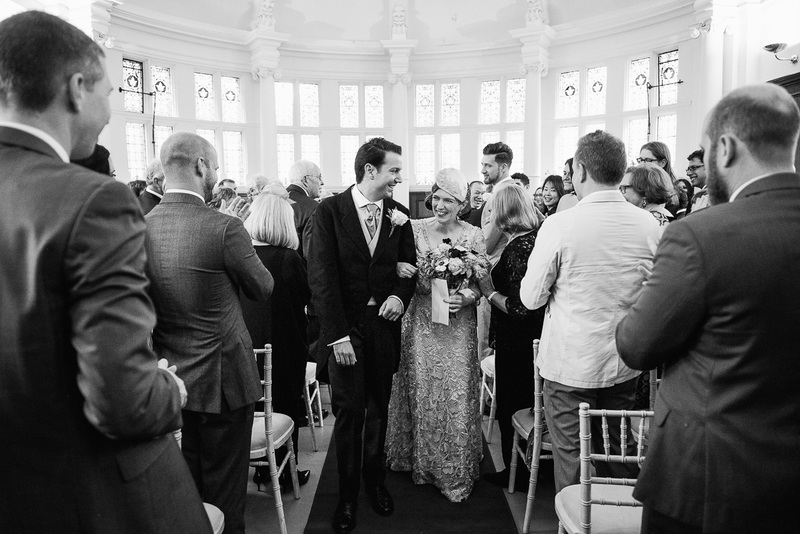 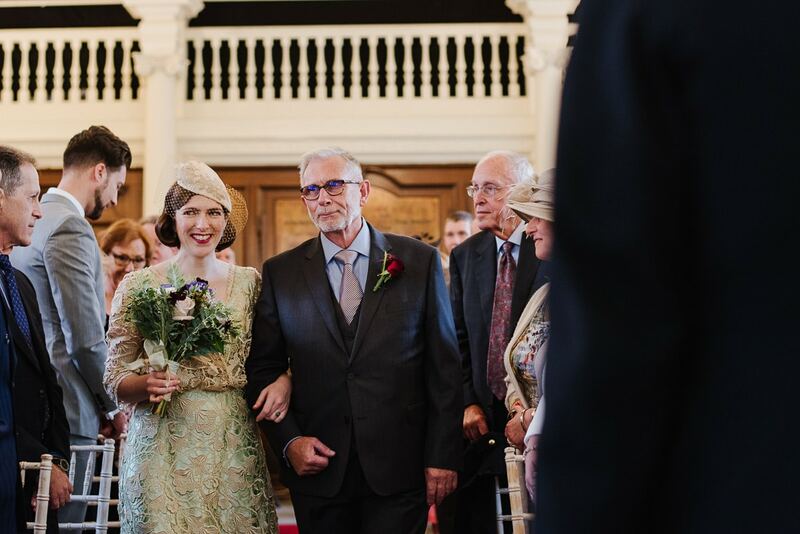 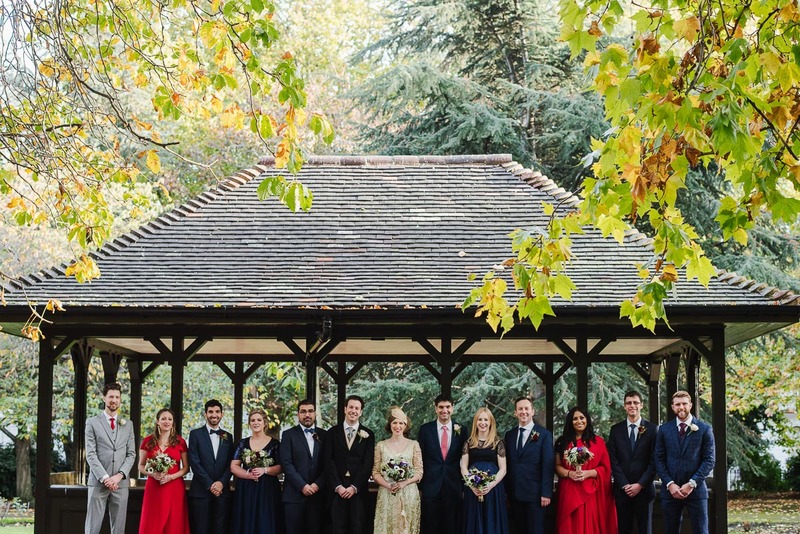 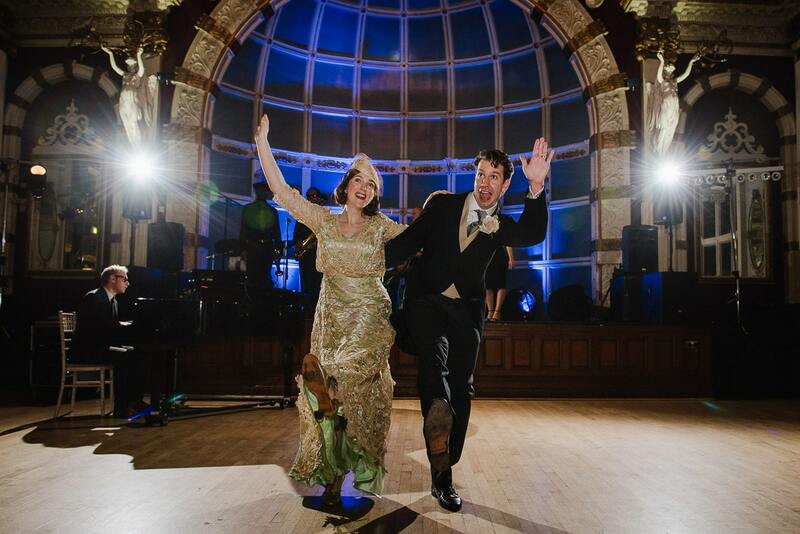 Like the look of these Old Finsbury Town Hall Wedding Photos or are you having the Town Hall at Rosebery Ave, Clerkenwell, London, EC1R 4RP as your wedding venue? 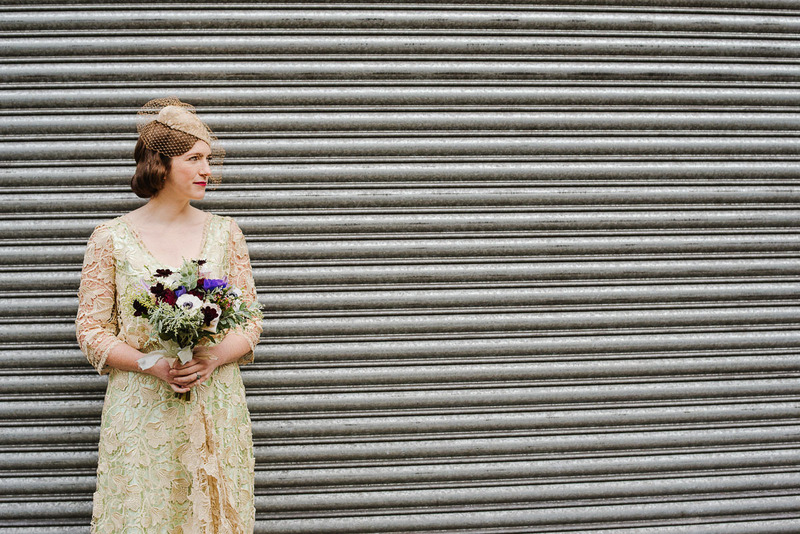 If you feel that my style doth butter your parsnips, please do check my availability and request an eBrochure. 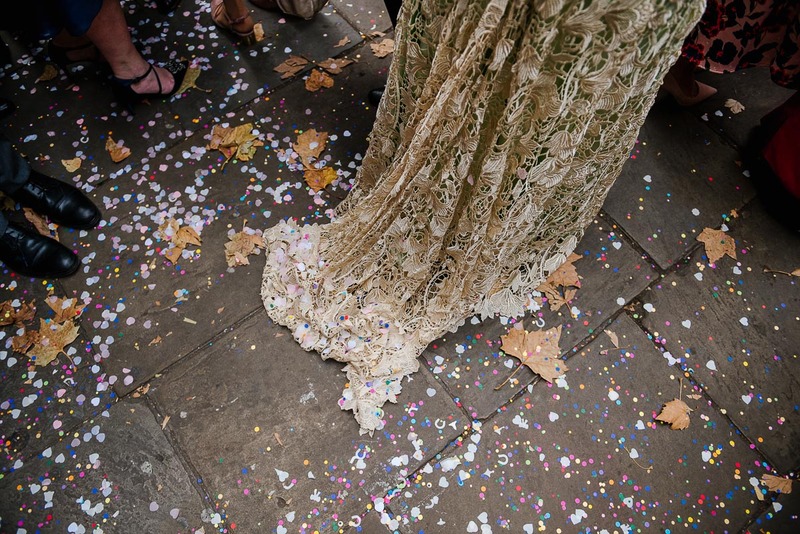 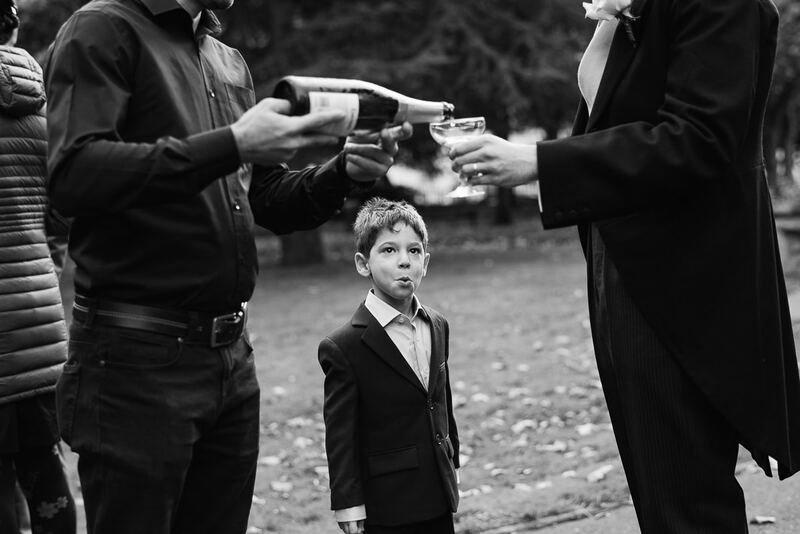 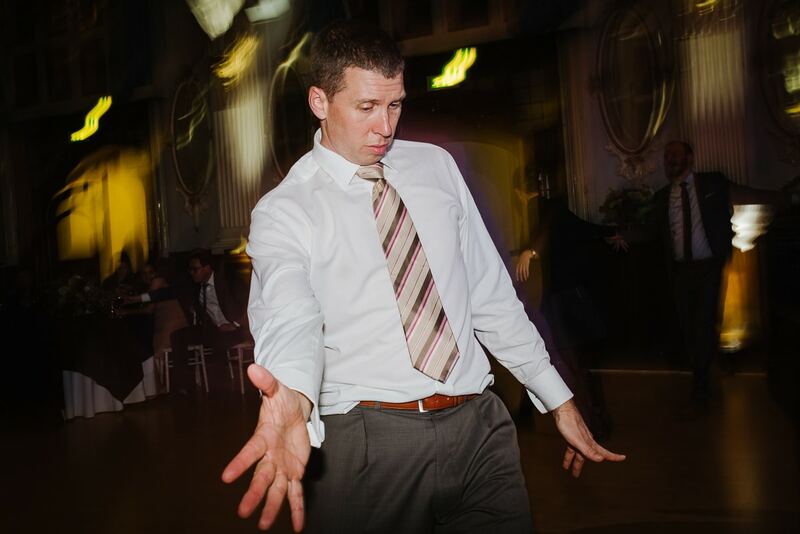 I limit my diary to around 30 weddings per year, so don’t drag your feet.